China’s first domestically developed commercial Earth imaging satellites are up-and-running in orbit, and are the first step in an ambitious plan to secure a niche in a growing sector and help revitalise the Northeast China economy. Launched in October, Jilin-1 consists of four satellites – two providing high-definition video, one for commercial high-definition images, and another for testing new space technology. And ten more are due to join them in 2016. Jilin-1 was developed by a commercial entity - Chang Guang Satellite Technology Co. Ltd - belonging to the Changchun Institute of Optics, Fine Mechanics and Physics (CIOMP) under the Chinese Academy of Sciences (CAS). 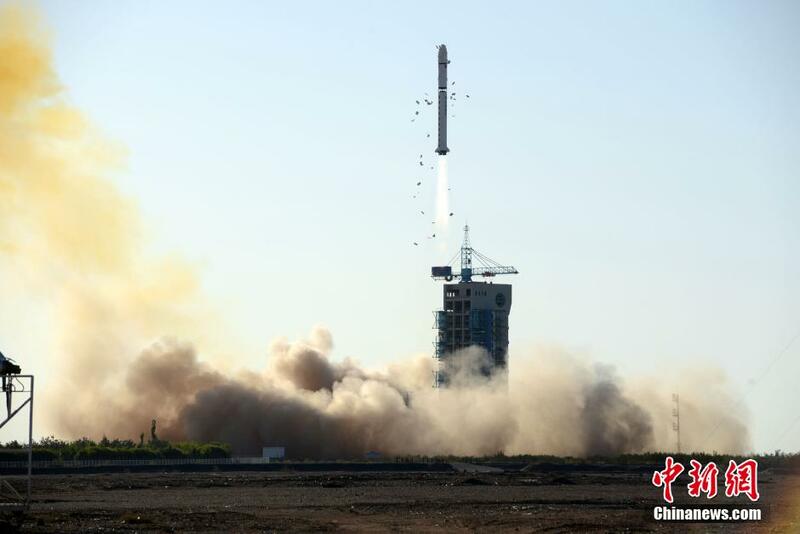 Chang Guang Satellite Technology Co told gbtimes that it aims to build a brand new commercial platform and a completely open eco system, to lower the threshold for remote sensing applications, and fill the void of remote sensing for civil use in China. 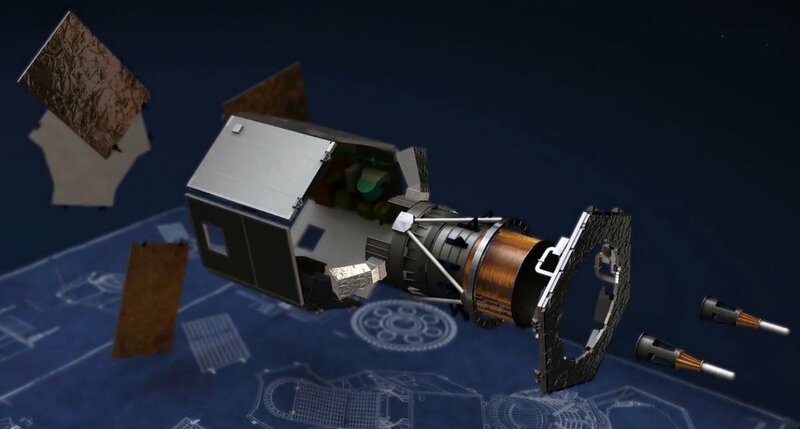 To this end, the 420kg Jilin-1A optical satellite is providing images of a maximum full colour resolution of 0.72 metres and 2.88m multispectral resolution. 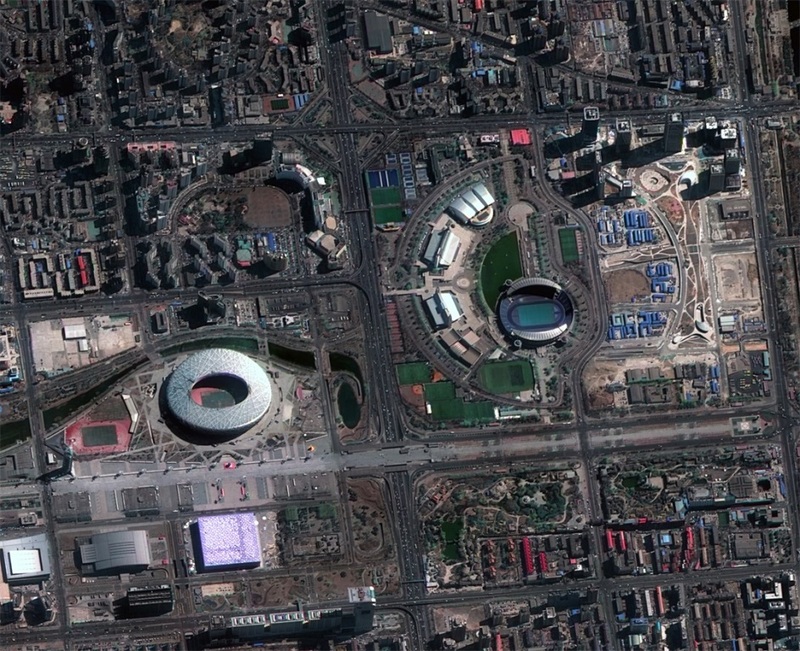 An image of Beijing showing the Bird's Nest stadium, Water Cube and Olympic Park (Courtesy of Chang Guang ST Co). The company says it is aiming to provide new concept products to customers to change people’s way of life, and to form an industry chain which integrates advanced technology, low costs and high yield. 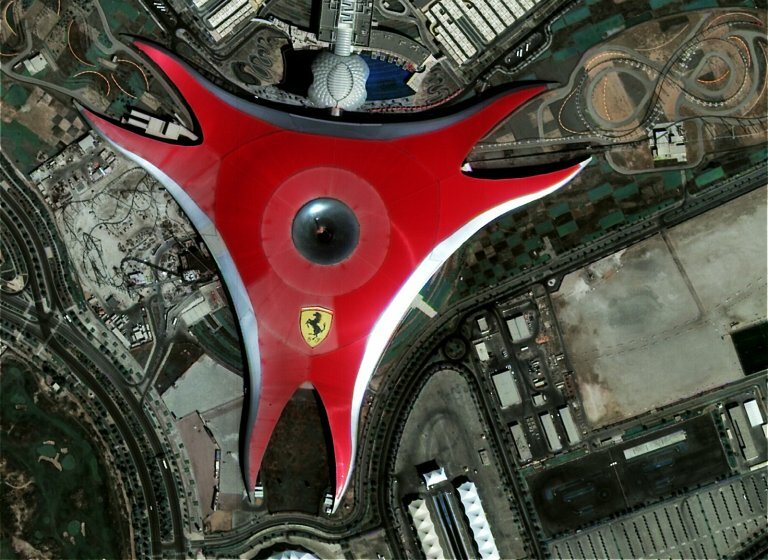 With China undergoing rapid urbanisation, urban development, changes in agriculture and strain on resources such as a water, a range of clients could come to realise the benefits of getting images from space. According to Chang Guang Satellite Technology Co, Jilin-1 is a substantial improvement compared with current domestic satellite technologies, exceeding the resolution of Gaofen-2, part of China’s CHEOS constellation, and is on par with advanced international satellite technologies. The satellites can provide remote sensing data support to areas including land resources monitoring, land surveying, mineral resources development, smart city construction, agriculture yield estimation, environmental monitoring, disaster prevention and more. Lhasa, Tibet, as seen by the Jilin-1A optical satellite (Courtesy of Chang Guang ST Co). Clients have so far been mainly public customers, particularly those involved in areas of forestry, agriculture and security. Jilin-1 will be followed late this year with ten satellites with the launch of the Jilin-2 and Jilin-3 missions from the Jiuquan Satellite Launch Centre in the Gobi Desert. Like Jilin-1, the following missions will launch on Long March 2D from Jiuquan (CNS). And this is just a part of Chang Guang Satellite Technology Co’s ambitious plan to have 60 satellites operational by 2020, allowing 30-minute revisit capability anywhere around the globe, and 138 satellites in service by 2030, thereby increasing temporal resolution to ten minute revisits. Peter and Paul Fortress in St Petersburg, Russia, in May 2016 (courtesy Chang Guang ST Co). 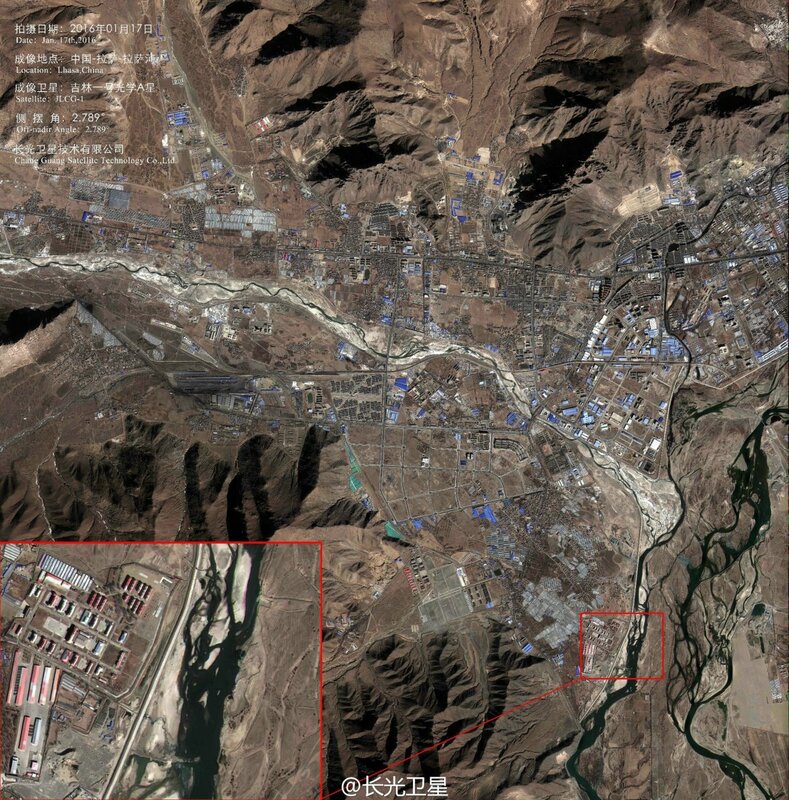 Jilin-1 underlines growing Chinese autonomy in high-resolution satellite imagery. Spacenews.com notes that China has since 2009 been rapidly replacing low and medium resolution imports from the US and Europe with imagery from domestic satellites, and now in sharper-resolution imagery as well. At the same time, this trend is reducing prices of imagery per square kilometre in China. As well as filling a national gap, the company is part of attempts to fill a hole left by a restructuring economy. Jilin-1A optical satellite (Chang Guang ST Co.). Located in China’s northeast, which once thrived as a base of state-owned heavy industry, Chang Guang Satellite Technology Co is backed by a provincial drive toward revitalisation through innovation and securing a niche in the aerospace sector and satellite industry. The aim is to make Jilin a ‘satellite province’. To this end the province will construct an aerospace information industry park in the capital Changchun, to drive the development of machinery manufacturing, optical sensing technology and other upstream industries. 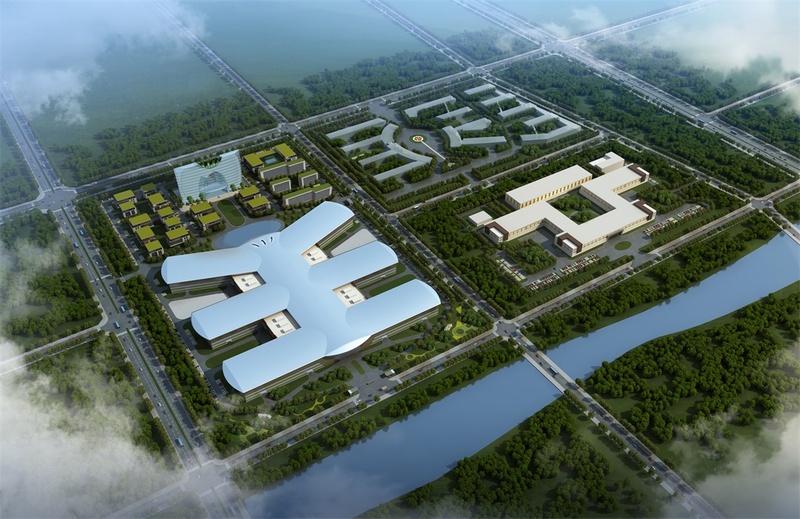 A representation of the Changchun aerospace information industry park (People's Government of Jilin). The company, making use of the long experience and expertise of CIOMP, sees huge market demand in the satellite remote sensing industry globally, the noticeable gap between China and the developed countries, and the opportunity for rapid development. They note that taking advantage of this opportunity requires capital investment and talent cultivation, and they will need to meet the market’s high demands on both space resolution and time resolution, requiring quantity and quality of orbiting satellite. "The scale of global commercial satellite industry will expand quickly in a short time in the future," they predict. 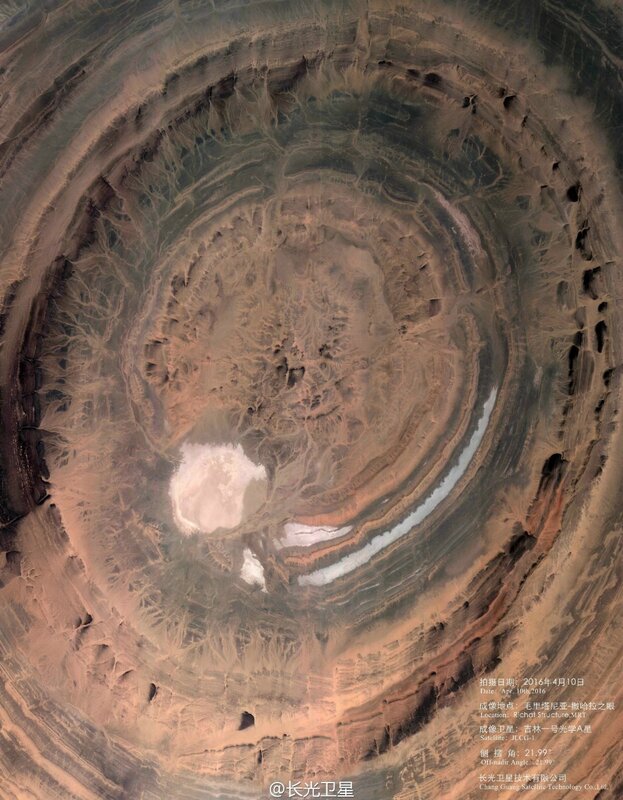 The Richat Structure in the Sahara Desert, April 2016 (Chang Guang ST Co.). The Jilin satellites can expect tough domestic competition, however. Go Taikonauts, a team producing detailed, independent periodic reporting on China’s space-related activities, note that a new initiative spurred by the China Aerospace Science and Technology Corporation (CASC), the main contractor for the Chinese space programme, will soon take off. The planned constellation referred to as “16+4+4+X” will consist of sixteen 0.5 m resolution optical satellites, four high-end optical satellites, four microwave (radar) satellites and several video and hyperspectral birds. The first two 0.5m resolution optical satellites, Gaojing-1 and Gaojing-2, are expected to launch late this year. Meanwhile, Twenty First Century Aerospace Technology Co. Ltd (21AT) has its three-satellite Beijing-2 constellation, built by the UK’s Surrey Satellite Technology Ltd. (SSTL), already in operation above the Earth. Internationally, startups such as Planet Labs based in San Francisco, whose tiny Doves cubesats provide 3-5 m optical resolution, and Google subsidiary Terra Bella already have remote sensing satellites in orbit. 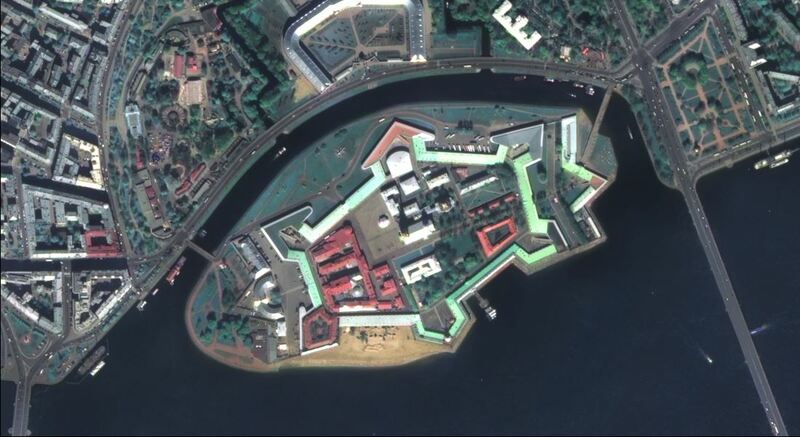 America’s DigitalGlobe is the established master of civilian remote imaging, which provides high resolution imagery for Google Earth and Google Maps. Its WorldView-3 satellite offers images of a maximum resolution of 25 cm from over 600km above the Earth. Northeast China's Jilin Province plans to launch the Jilin-1, the country's first indigenous remote sensing satellite for commercial use, in October. We went to the provincial capital Changchun to see how the final preparations were going.